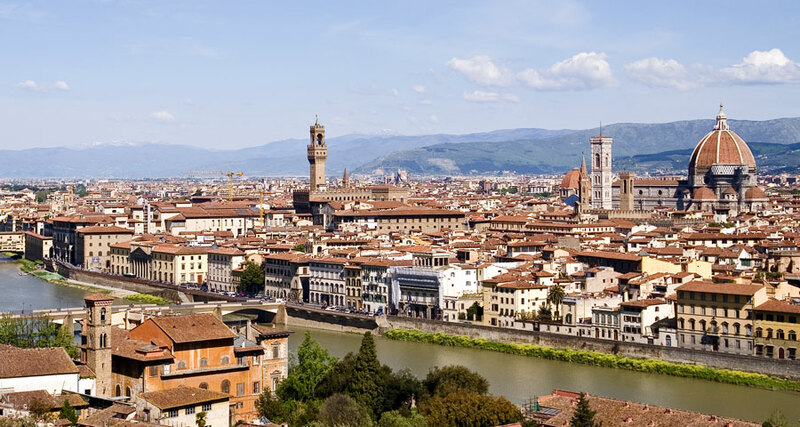 Florence is an art city and as such parents often think that it is not a suitable holiday destination for children. This is partially true if they plan on visiting only churches and museums - any child would get bored after a little while. However, Florence has a great deal to offer to children, too (and not rarely even grown-ups like a break after too many statues and pictures). First of all, a City Sightseeing Tour on a double decker bus around Florence will be a great experience - in just about two to three hours you enjoy a general overview of the whole town and most of the outstanding monuments, with headphone commentary - of course, it is not an in depht visit of the city, but it is an experience children will remember for long, especially the lovely views from Michelangelo Square and/or the hill of Fiesole. Whilst a visit to the Uffizi Gallery could be a bit long, children usually are overwhelmed at the sight of the statue of David, with its impressive strength coming from his eyes and muscels - therefore, a visit to the Accademia museum is recommended for children, too. The Medici family were not only mecenates for arts - they also financed science and gave a great contribution to scientific endeavour - one name for all is Galileo, who lived and worked in Florence and was close friend to some of the most influent members of Florentine society - the Science History Museum is a remarkable collection of scientific artifacts, including armillary spheres and antique globes, telescopes, old clocks and timepieces, pneumatic pumps, levers and inclined plane, many of them showing the expriments which were carried out, which children can enjoy personally - not to forget the planetarium! This is a 'lighter' museum, very much enjoyed by kids. The Wax Museum La Specola is another must for the children - besides the skeleton of a dinosaur which was found not far from Florence, the highlight of the exhibits is the collection of beatifully wax crafted medical models of arms, legs, organs and other body parts, including a a series of entire corpses in which every muscle, sinew, vein and capillary has been splayed and displayed in loving detail - thanks to Leonard! Children rave about such a visit! The Children's Museum located in Palazzo Vecchio offers a wide range of activities for children from three years and older up to teenagers showing various aspects of medieval and renaissance life, such as dressing, cuisine, education, religion, science, light art and architecture, etc. - activities include role playing, theatre plays, visits to some secret areas of the palace, etc. - all of that in an intriguing and amusing way targeted to the younger visitors, to ply the seeds of curiosity to history and culture.